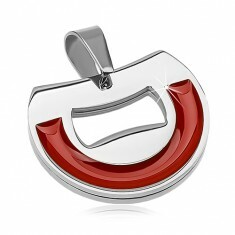 Your favorite product: Pendant made of surgical steel, the semicircle with the brick-red glaze G12.7 - is added to the wish list. Pendant made of steel 316L, incomplete circle decorated with a cutout and glazovaným arch of brick-red color. Your favorite product: Earrings made of surgical steel, the flames on the black substrate, puzetky AB27.31 - is added to the wish list. 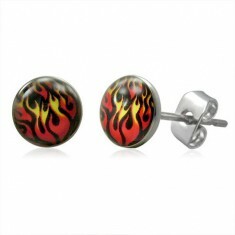 Steel earrings in silver colour with a picture of a yellow-red flame on a black circle, puzetové fastening. 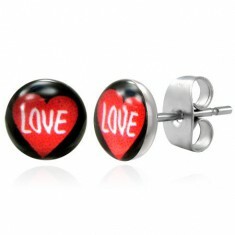 Your favorite product: Earrings made of steel with a pierced heart of the G8.16 - is added to the wish list. 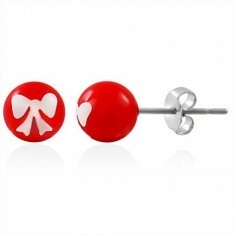 Earrings made of surgical steel with a big red heart pierced. Your favorite product: Earrings from a steel cat out of a fairy tale of the G8.18 - is added to the wish list. 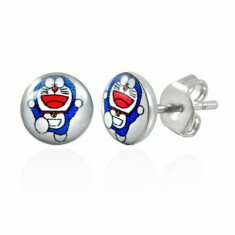 Earrings made of surgical steel with a blue cat with a red mouth. 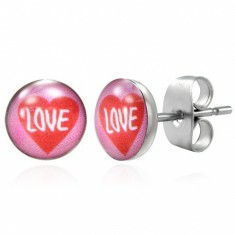 Your favorite product: Steel heart drop earrings with the words LOVE G14.26 - is added to the wish list. Earrings made of surgical steel with a picture of a red heart with white lettering LOVE. 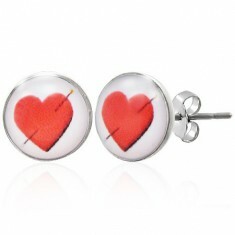 Your favorite product: Earrings made of steel red heart LOVE G13.30 - is added to the wish list. 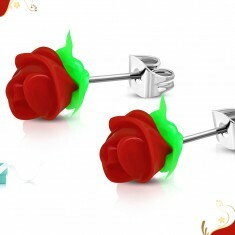 Your favorite product: Earrings made of surgical steel, coral red flower rose from acrylic Z43.04 - is added to the wish list. 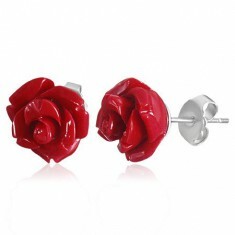 Steel puzetové earrings, acrylic blooming rose in a coral red shade. 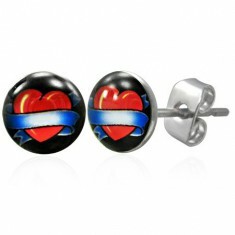 Your favorite product: Steel earrings pips a symbol of GAY PRIDE man M11.21 - is added to the wish list. 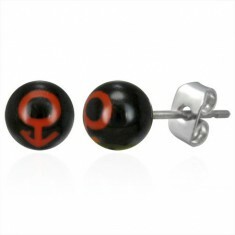 Steel earrings in the shape of balls represent the red color of the GAY PRIDE symbol of a man. 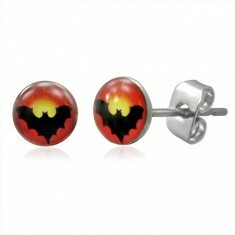 Your favorite product: Steel earrings, black bat on red and yellow substrate X13.13 - is added to the wish list. Earrings made of surgical steel, with a display of the bat on the červenožlutém background. 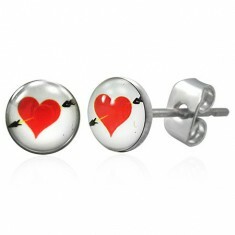 Your favorite product: Steel earrings ball, heart, star M12.33 - is added to the wish list. 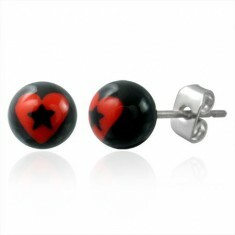 Earrings made of surgical steel in the shape of balls with a red heart and black star in it. 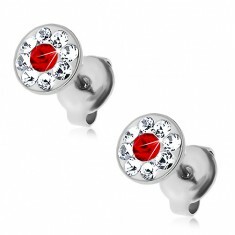 Your favorite product: Steel earrings decorated with Swarovski crystal clear and red color G23.11 - is added to the wish list. Earrings made of surgical steel with crystals from Swarovského - glittery clear petal with a red center.